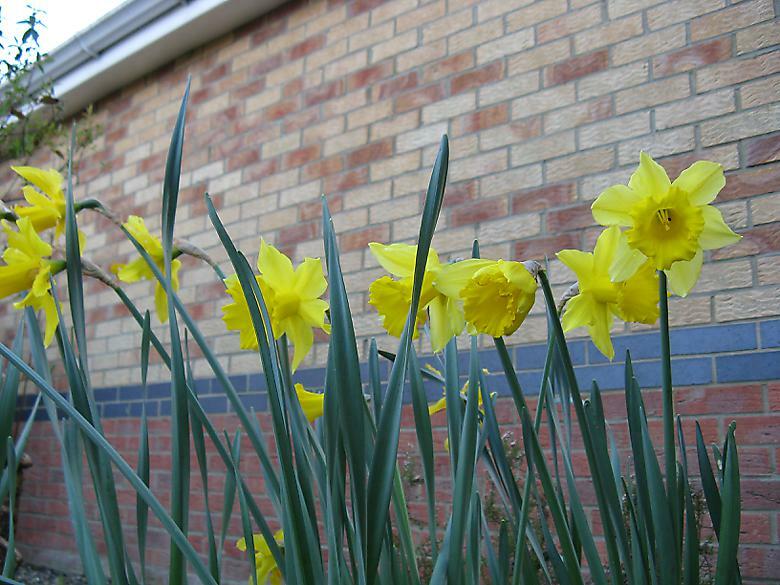 The main event of the month was the daffodils which are still in flower. Crocuses had some flowers, but were a disappointment and the muscari were starting to fully flower as the month closed. 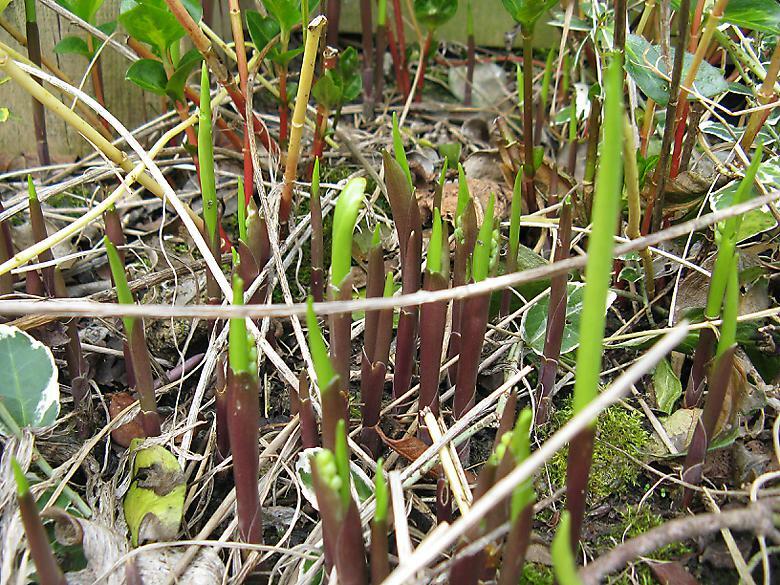 Other things continued to grow, and there were a couple of new appearances yet to be identified. 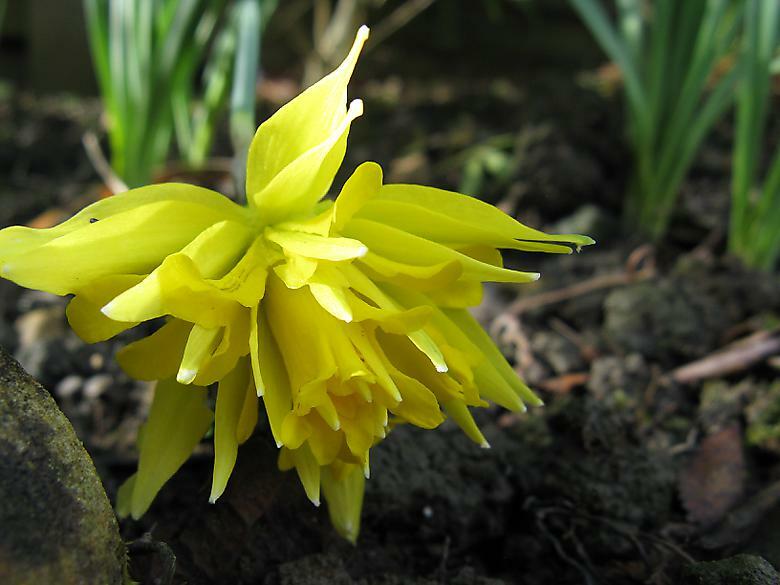 The first daffodil flower opened on the 13th, and they remained throughout the rest of the month. There is a main patch which is doing well, and some isolated ones in different parts of the garden. Some mini daffodils with complex double (or treble or more!) flowers beneath the hazel put up three flowers, which is not many given the number of plants there. I've tried growing basil a few times, its never been particularly successful. 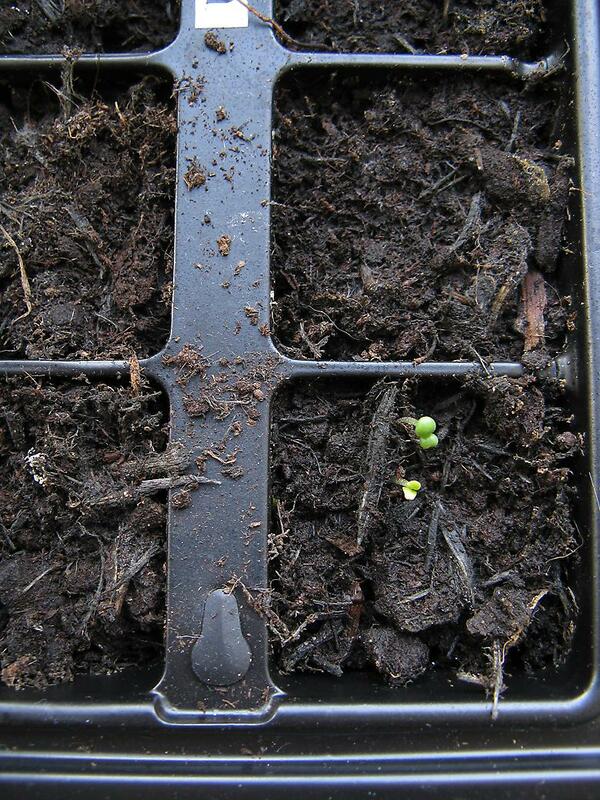 Here we are at about 11 days, and there are a couple of seedlings up. Nothing much to distinguish these seedlings, small round leaves. 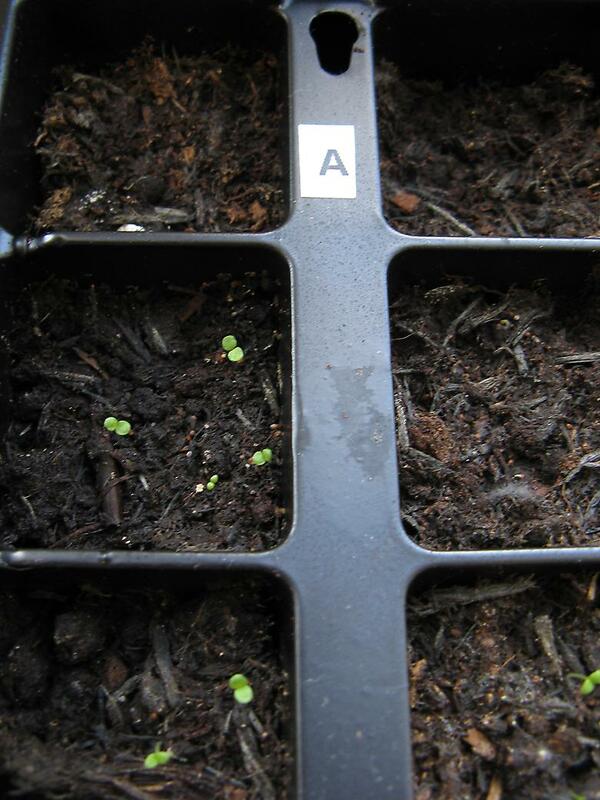 First petunia seedlings, this is about day 11. 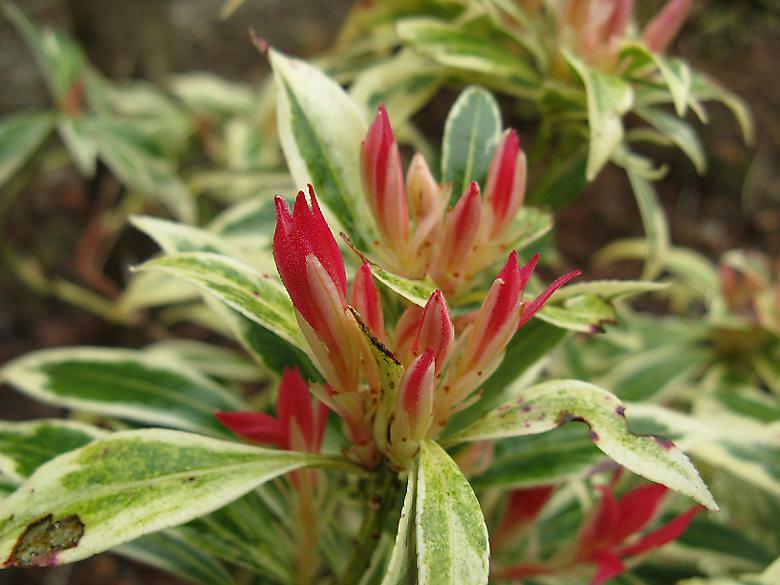 There is very little that is distinctive about these seedlings, very small rounded leaves. 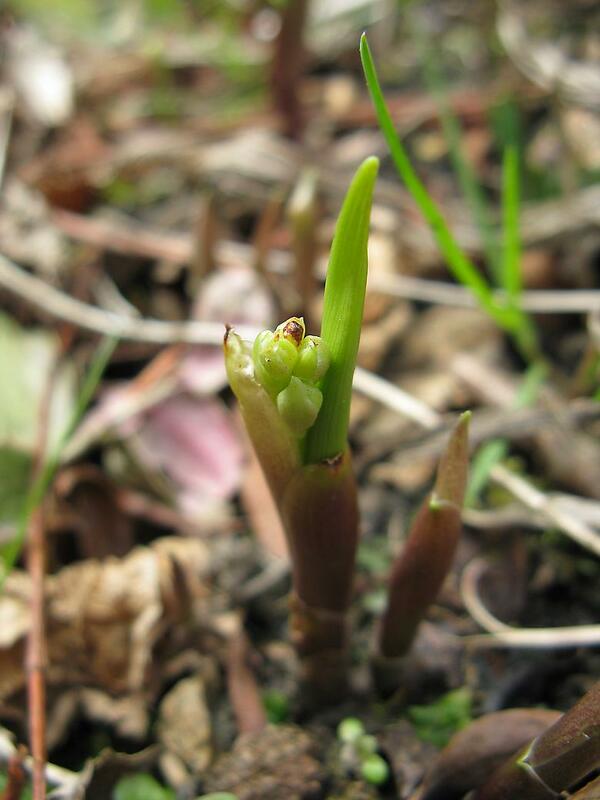 There are a lot of shoots appearing in various places. At first I thought they were from the Vinca, because I first saw them in that area. However they are now appearing all around the garden. Today I decided that they may be Lily of the valley and another search has turned up a picture on Marks veg plot (about half way down that page) which pretty much confirms it for me. These are the tiniest seeds, there are two and a half thousand in the packet or so it says, I'm not counting. 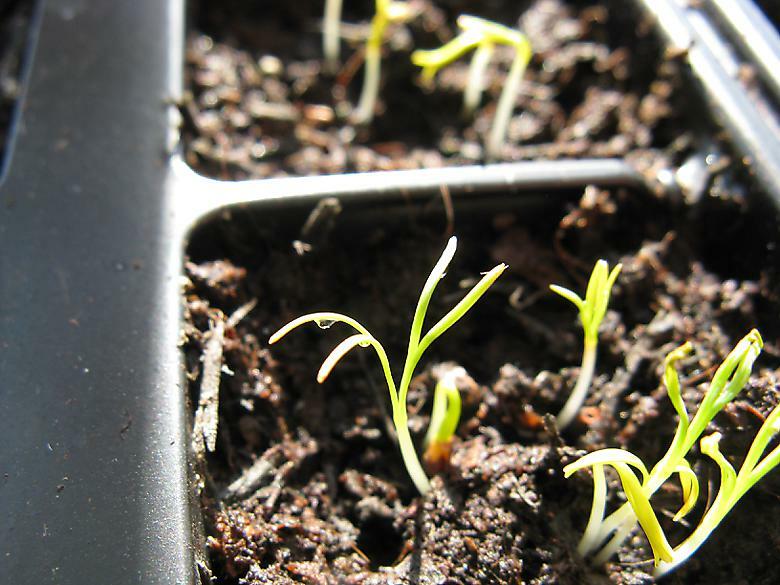 The seedlings are tiny too of course, apart from that they are not very distinctive, just two oval leaves. 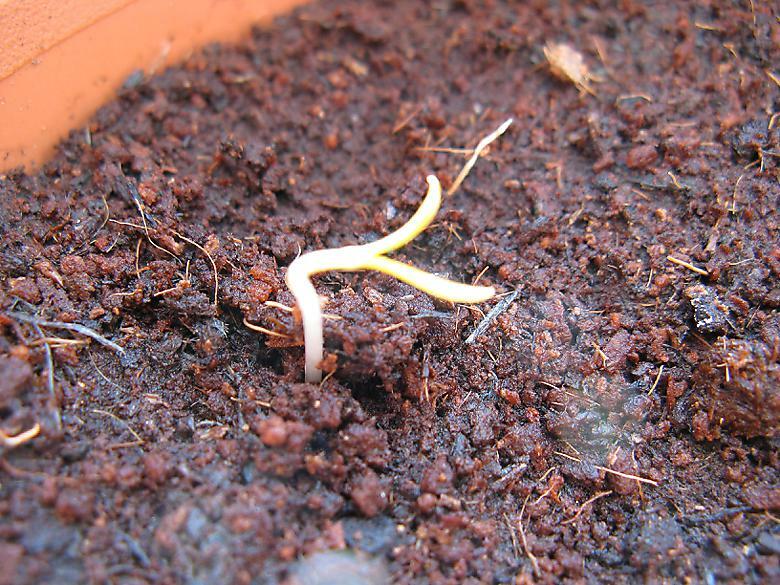 The first chilli seed has sprouted. So I've moved the pot from the airing cupboard into the light. It was a very sunny day today, so a good day for it. Not a brilliant picture, but the first one before the leaves are even upright fully. The leaves are originally folded down and then unfold upwards. 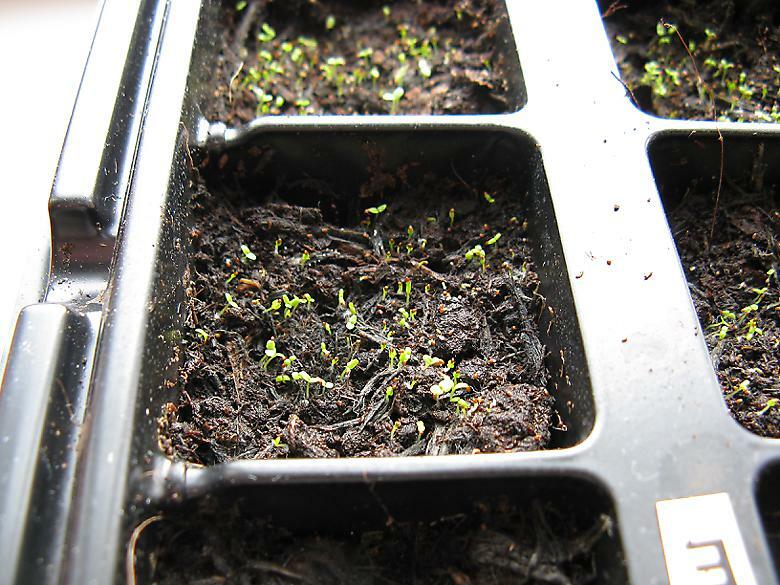 The Californian poppies sprouted just a day after the Zinnia. 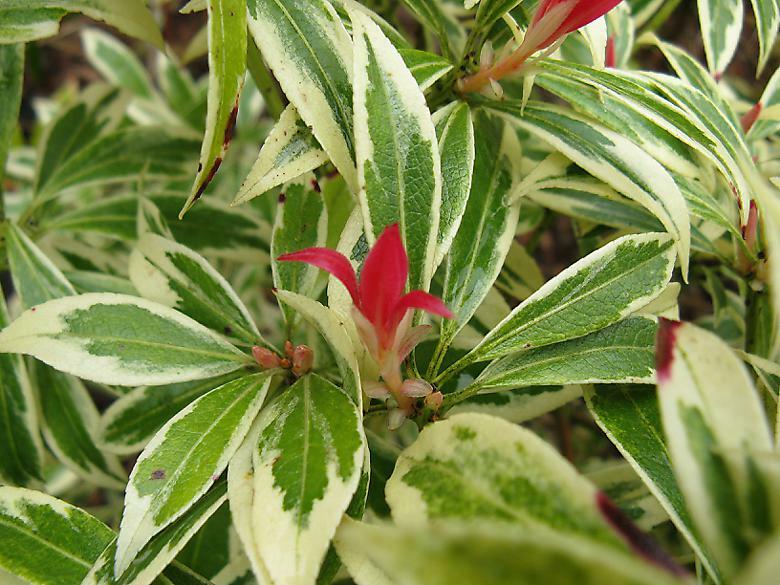 They have distinctive leaves, which look a bit like a two tined fork.